This prawn dish is hubby’s favourite, and while it is a bit time intensive, it’s absolutely worth it. 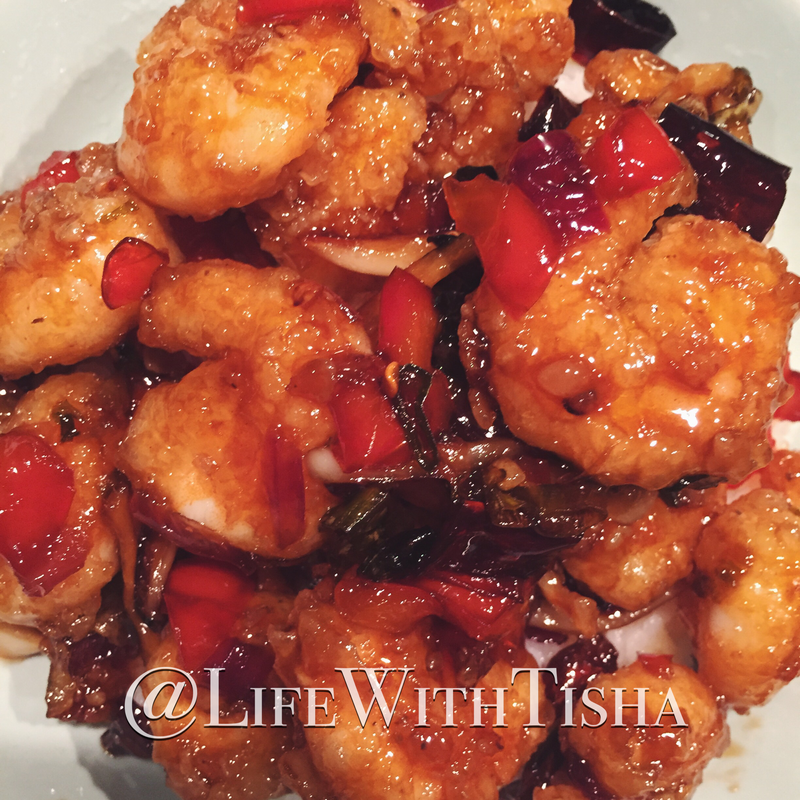 Sweet, sour, and spicy prawns are always delicious! This particular recipe is a Korean twist on a popular Chinese dish. Do keep in mind that if fish isn’t your thing, you can swap the prawn out for bite-sized pieces of chicken. Spice levels can also be adjusted as required. I personally like to eat this with jasmine rice. You can serve this dish with an assortment of other meat and fish dishes and vegetables, or just simply by itself. You can find the original recipe here. Add all sauce ingredients in a bowl and mix well. Keep on the side until needed. Thaw shrimp; de-vein and pat dry with paper towels. Sprinkle evenly with sea salt and black pepper. Crack open egg and whip to mix yolk and white together. Dip one prawn into egg, coat completely in potato starch, and set aside. Continue this until all prawns are egg washed and coated evenly. Heat up oil and fry the prawns a few batches at a time without overcrowding. Fry for up to one minute only. Immediately remove all prawns and fry them a second time until they turn golden brown. Set aside. Take 3 tablespoons of the frying oil and place in a shallow pan. Fry the dried chillies for a few seconds to release aromatics. Do not burn. Turn up heat to high and add onion, green onion, garlic, and ginger. After frying for 10-20 seconds, add green chilli pepper, red bell pepper, and cook down for anothe 2 minutes. Add sauce to the pan. Cook down for another 2 minutes until it thickens up nicely. Enjoy the sweet, sour, and spicy flavour of this prawn dish! Serve with rice.